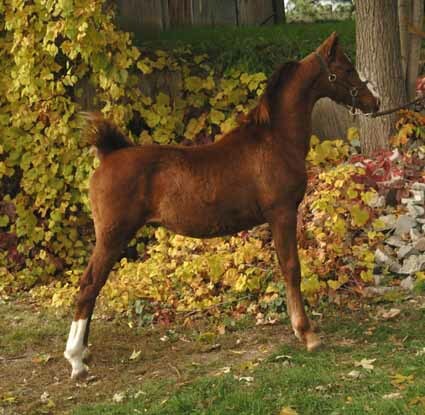 We are really looking forward to seeing this colt mature! 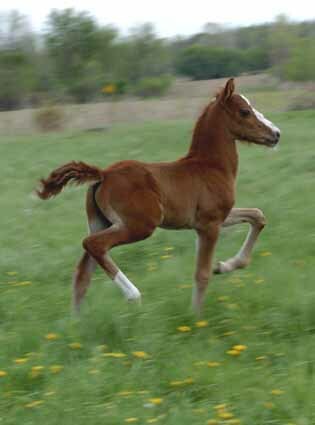 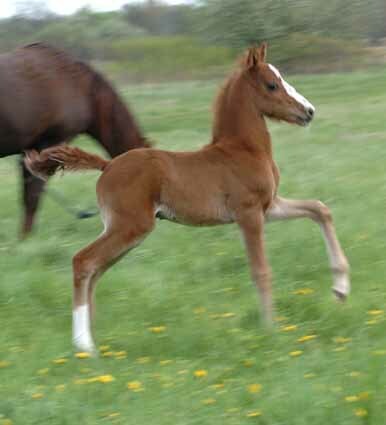 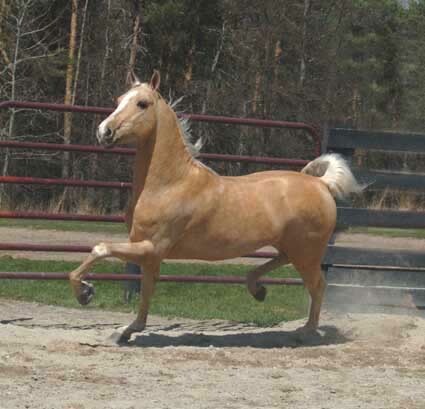 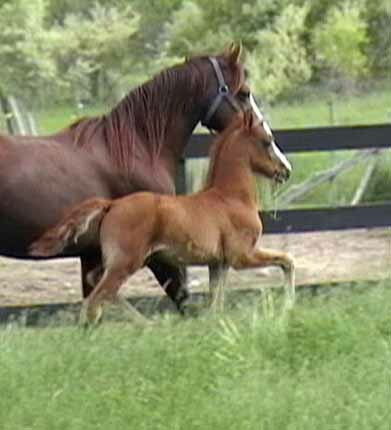 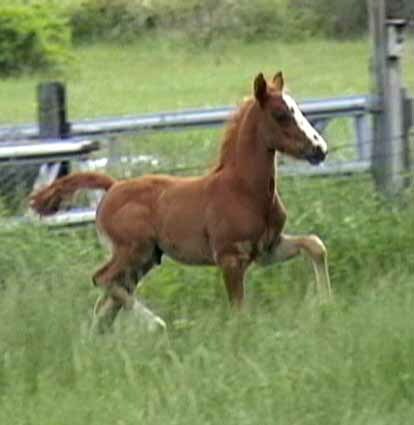 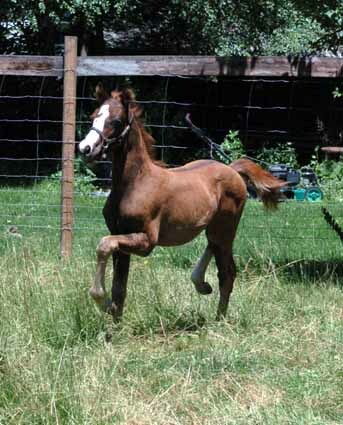 He has been an animated ball of spark and trot since his first time out and showing off. 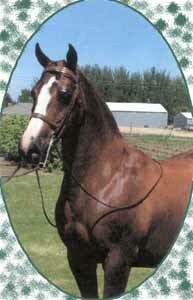 Splash has a wonderful disposition; kind, friendly, inquisitive, willing. 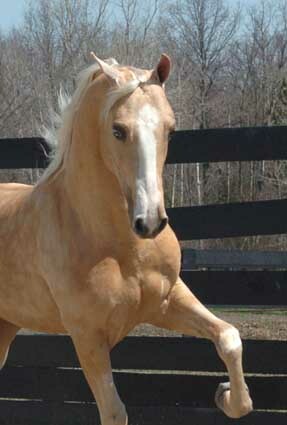 He has good conformation with that needed form to function regardless of division. 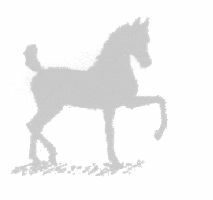 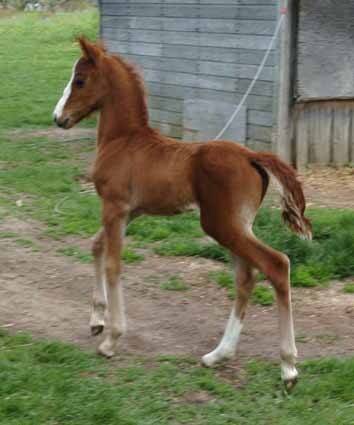 He is very upright with a fabulous shoulder and can he ever trot! 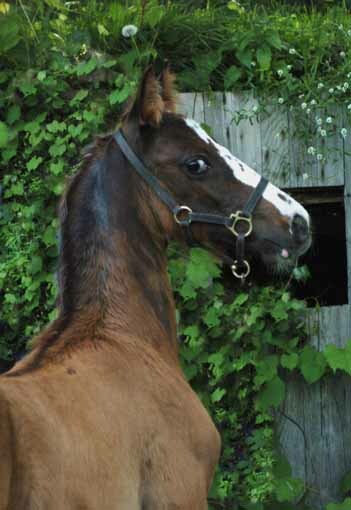 Trimmed in white, you will never miss this boy in a crowd. 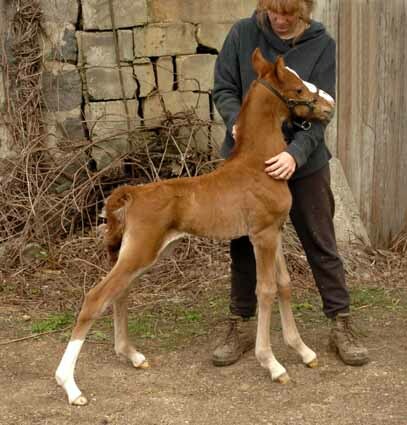 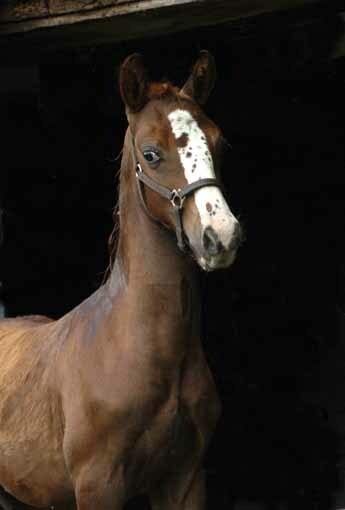 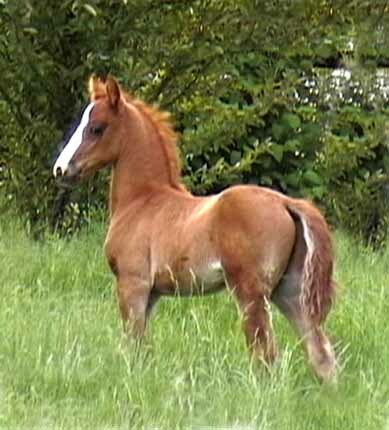 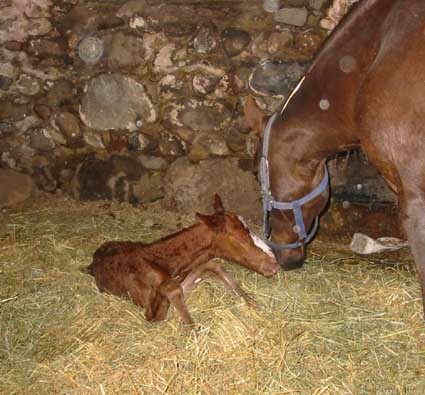 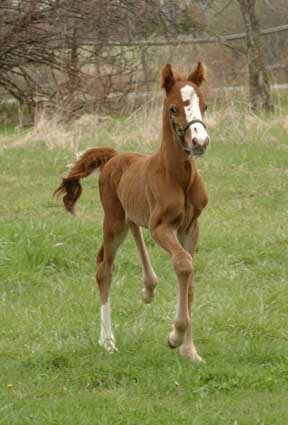 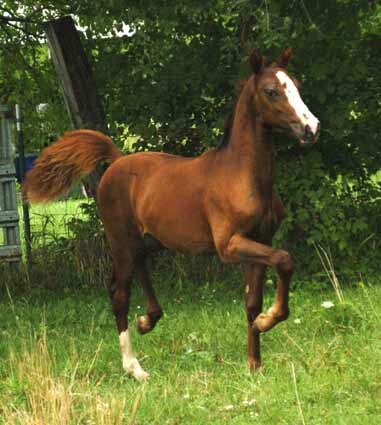 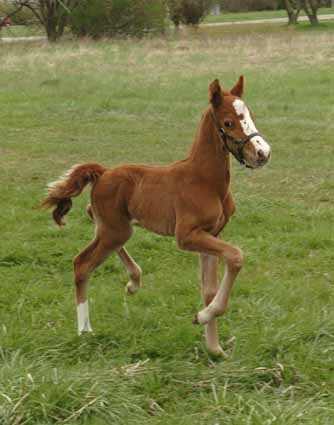 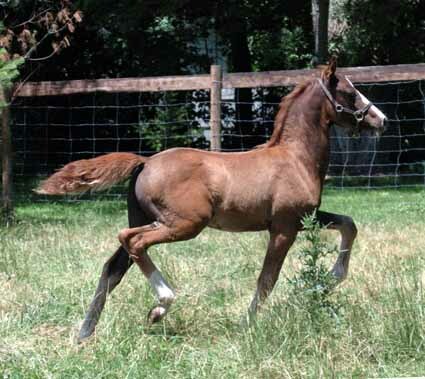 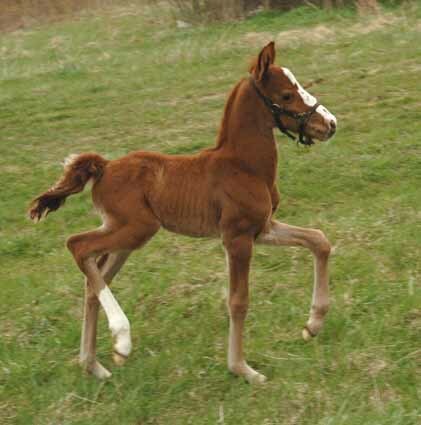 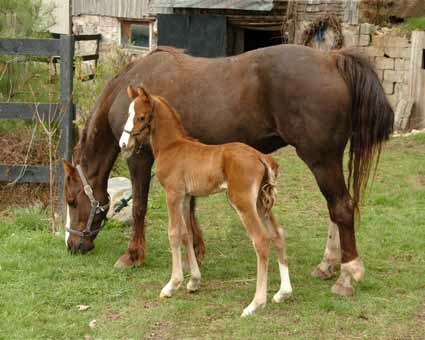 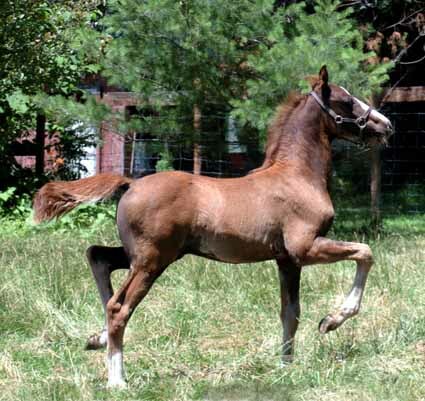 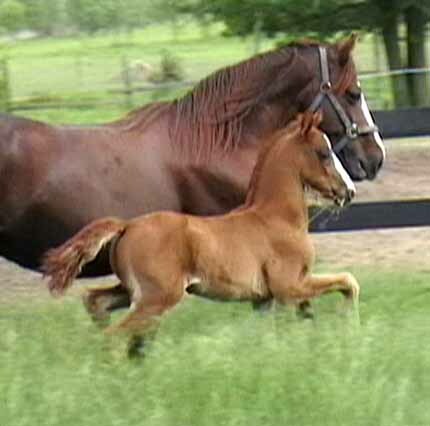 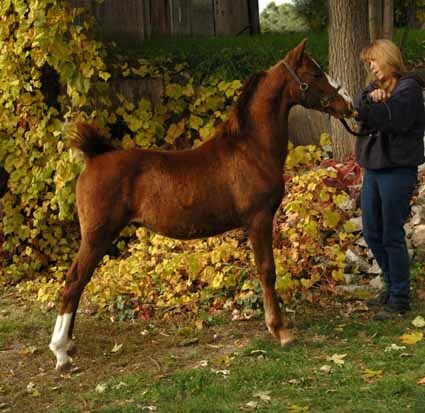 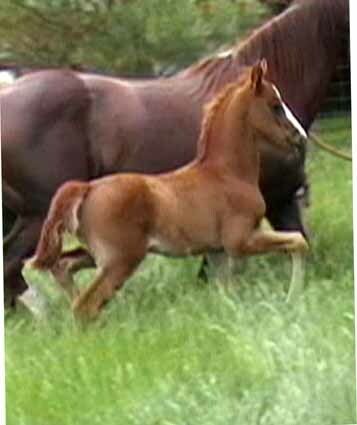 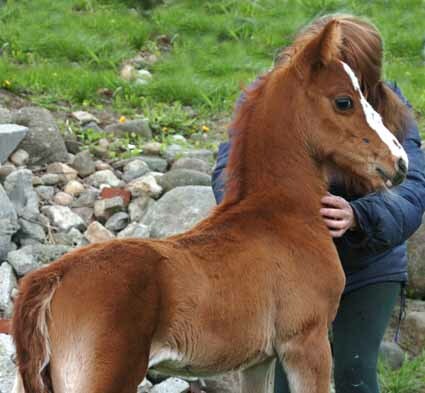 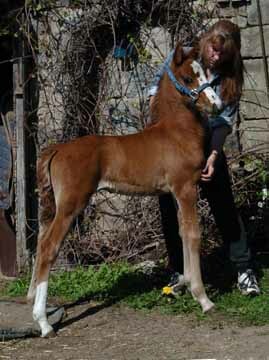 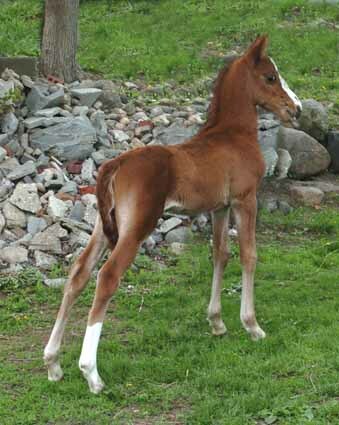 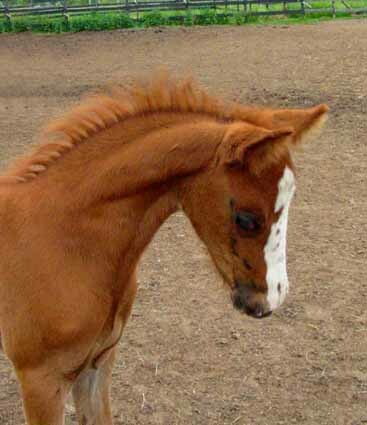 Both the sire and dam are over 15 hands, so it is expected this colt will mature over 15 hh, too. 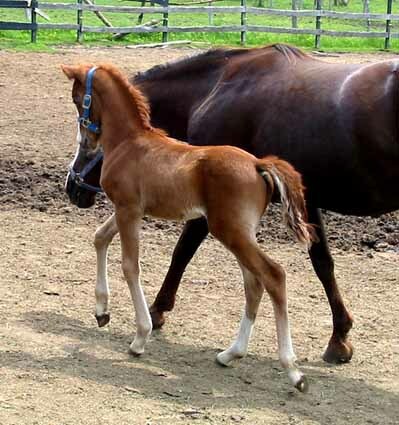 Back To The "2005 Foals"